Beautiful and evocative readings for each day, matched with the daily Omer blessing, offer a transformative path from Passover to Shavuot. The counting of the Omer begins with the escape from enslavement to the wandering path of freedom, leading to a mystical encounter with God, Sinai and Torah. This volume, beginning with its informative contextual introduction, provides a spiritual guide for a personal journey through the Omer toward meaningful and purposeful living. Wonder, joy and beauty are not as far away as we might think – if only we open our minds and souls to the sound of God’s whispering voice. By sharing significant moments in the lives of ordinary people, God Whispers helps us along the journey to spiritual awareness and understanding. 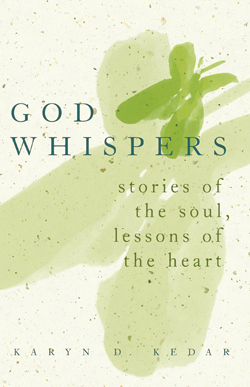 The soulful prose found in this book offers a new perspective on forgiveness. With beautiful and simple language, this book invites you to explore the uncharted aspects of your heart’s terrain. We live in two seemingly incompatible worlds—rational and spiritual. How can we keep our balance? 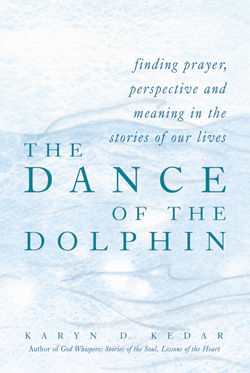 Through poignant stories, spiritual teaching and insights, Karyn D. Kedar shares with us the ways we can integrate the everyday—family, work, personal challenges— with our quest for deeper spiritual understanding.